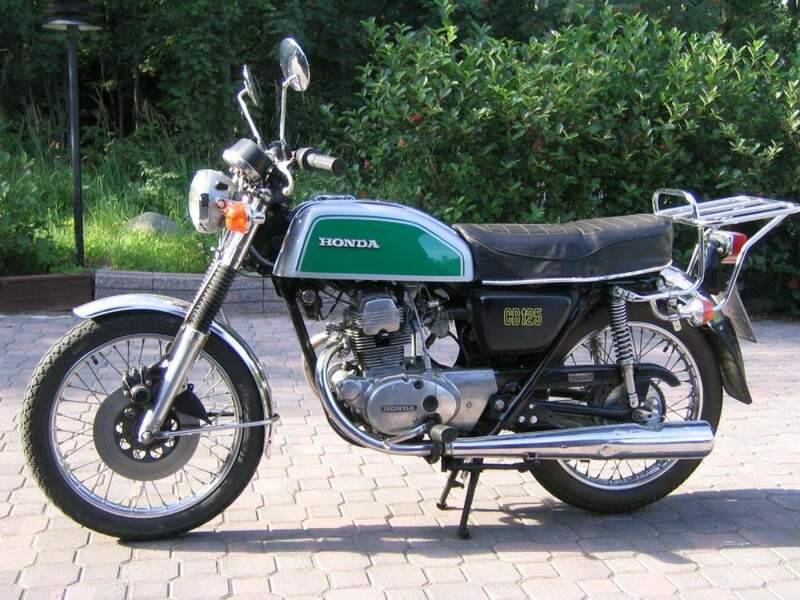 A bestseller for Honda in the early 1970s, the CB175 was designed to answer the criticisms of more sporting ride-to-workers who found the CD175 (introduced 1967-8) deficient as an adrenalin-rouser. Both were parallel twins but the CB had two carburettors, electric starting and five gears — which suggests what the CD specification was — and other assets such as a full cradle frame, two-leading-shoe front brake and a tachometer. Power differential amounted to 3bhp, the respective figures being 16.5bhp/9,500rpm and 19.5bhp/ 10,000 rpm, the latter equivalent to 110bhp/litre which remains, in the 1980s, a creditable, not to say staggering, output. Top speed for the CB was 80mph, at something over 10,000rpm. Both 175 models were sold concurrently, the CB at £60 over the 'cooking' version's price.